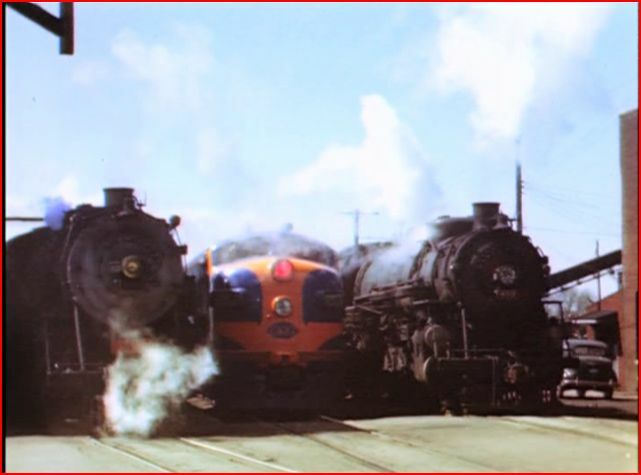 Locations: Evansville, St. Louis, Granite City and more..
Rails in the Heartland. The L&N, C&EI and IT. So goes the subtitle of this classic steam era program. The steam portion focus, is on the area around Evansville, IN. An end to end connection was made with: Chicago & Eastern Illinois, to Louisville & Nashville. 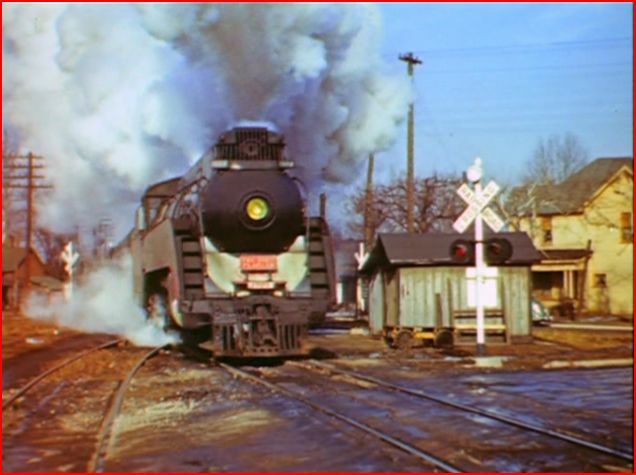 A chapter on Illinois Terminal is centered around it’s interurban operations, circa 1956. Winter temperatures gives steam a different appearance. Green Frog Productions is a company that has a reputation for top quality programs. 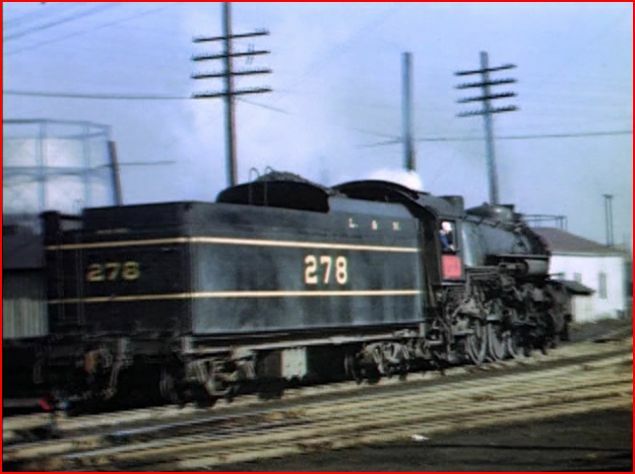 In one volume after another, The Steam Special 7 Pak offers great opportunities to see railroadings greatest era. 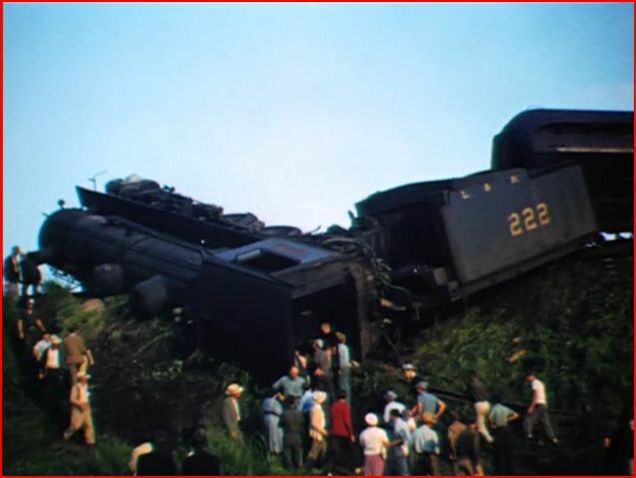 At least, from a railfan’s viewpoint. Some extras with this show: Chapter Menu, Slide Show, Narration on/off and motion menu. An Evansville rail map is used to orientate the local trackage. The slide show runs with the usual Green frog big band type soundtrack. 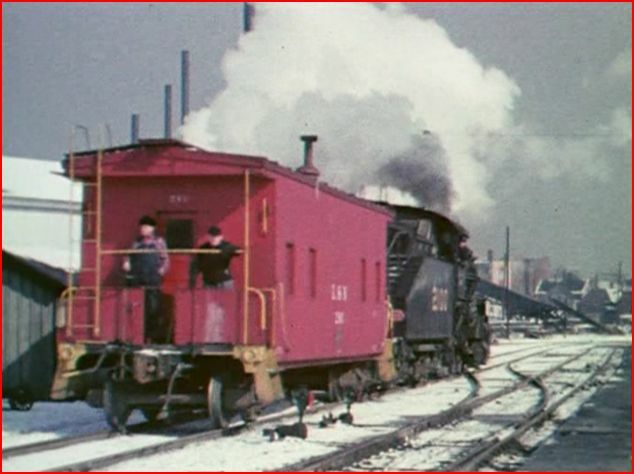 You will see the Wabash caboose that is mentioned, and not seen. There are some very clear black and white scenes. The L&N 19 stall roundhouse. A heavyweight consist in this scene at the wye. K-5 Pacific #278 backs up after dropping off a cut of cars. 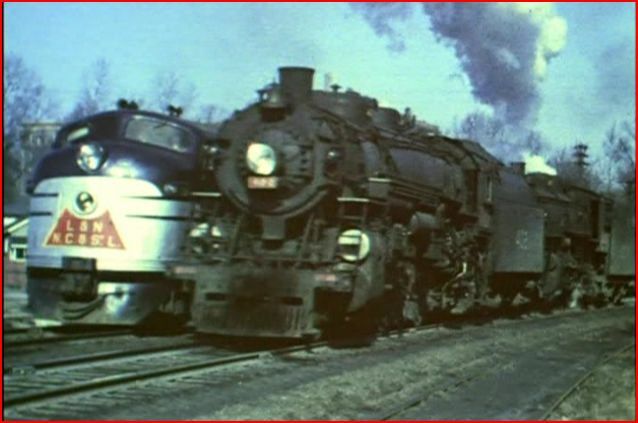 The Louisville & Nashville 16mm color film is ultra rare. A smaller town like Evansville is somewhat limited from a variety standpoint. It gets slightly repetitious. Chicago & Eastern Illinois has it’s own chapter, also at Evansville, Indiana. Chicago & Eastern Illinois. 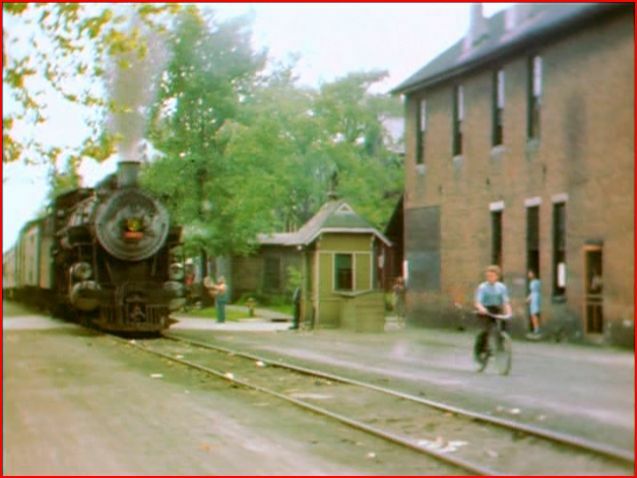 Note the crossing guard and his railroad shack, on the right. Black and white footage from the 1940’s is also used on C&EI. A streamlined C&EI locomotive on a passenger train. St. Louis Union Station. A C&EI passenger train departs. 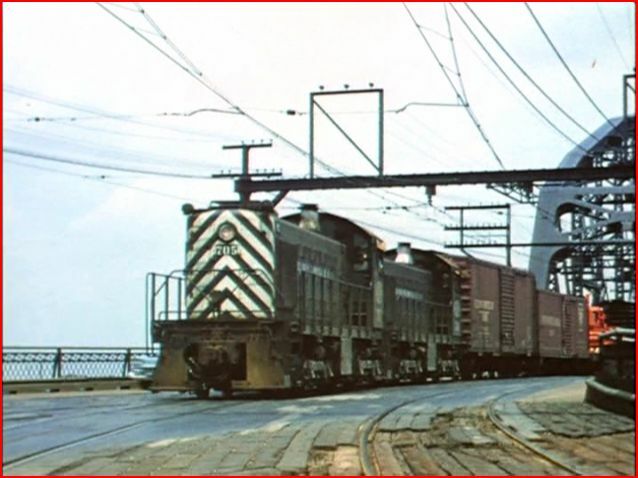 IT PCC #450 operating on the trestle approach to the McKinley Bridge at St. Louis. This car has been preserved. 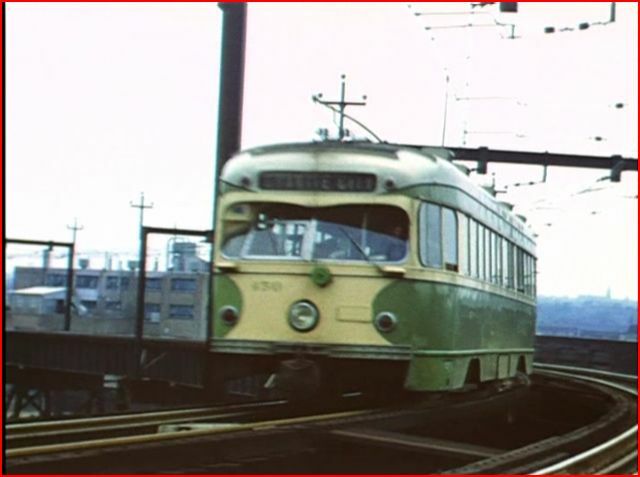 Illinois Terminal once had an extensive interurban/ trolley system. 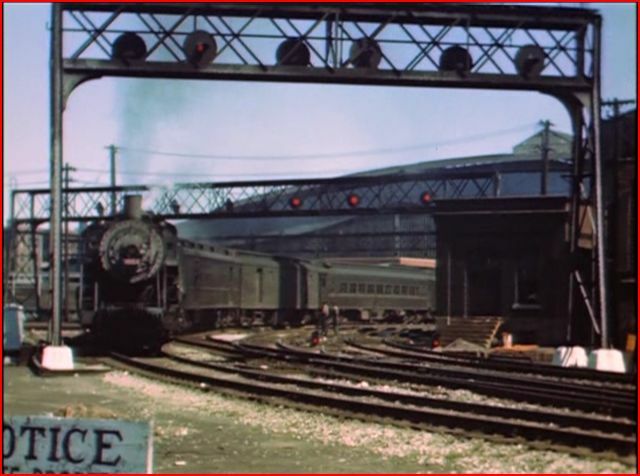 Quite a surprise on a series of films that are centered on steam railroads! The last day of IT service at Granite City is seen, in 1956. This chapter is a short one. 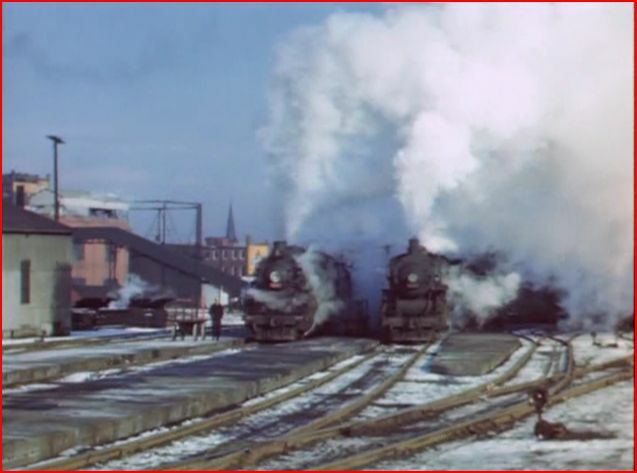 A pair of 1948 built Alco S-2 diesels coming off the McKinley Bridge. 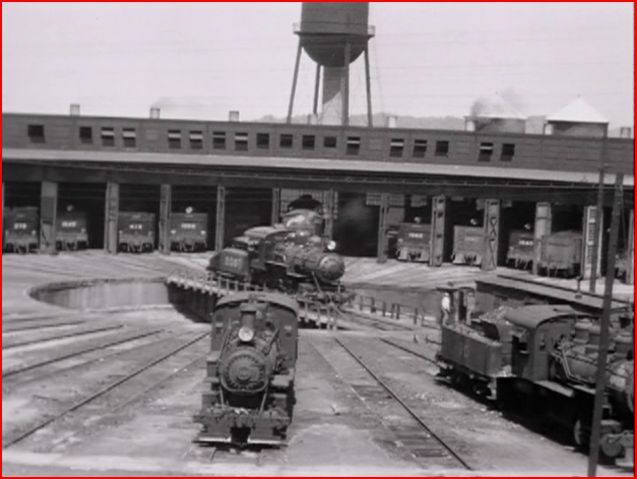 A brief and informative chapter on some of the Illinois Terminal operations. An odd chapter on a steam show. L&N transfer caboose hop. 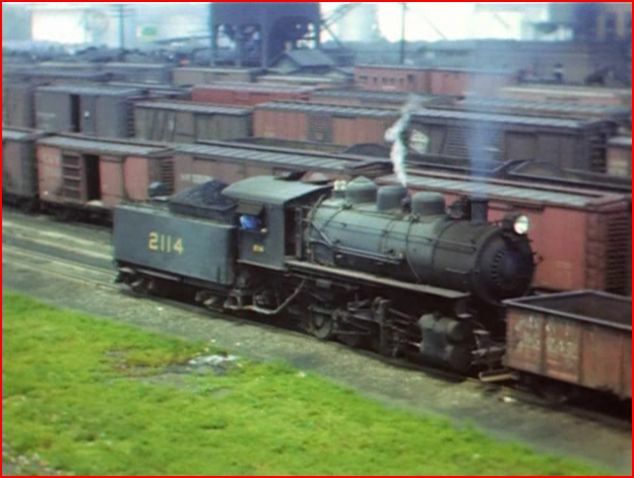 Check that 0-6-0 switcher with a slopeback tender. This program has high quality throughout. Audio for the locomotives is excellent. Narration is detailed. There are many callouts of engine types and train designations. The second part of this series features, much mega rare footage. Green Frog has digitally processed the old films, for best possible image. Action oriented, although a good portion is slower switching. The rest tends to be passenger runbys. Some freight, albeit limited. Found this volume a shade lower on the excitement level. It is slightly limited in scope. An excellent show from Green Frog. It is a fine piece of the 7 pak. As a standalone, the other two volumes offer more variety. Steam fans will love the rare color film. 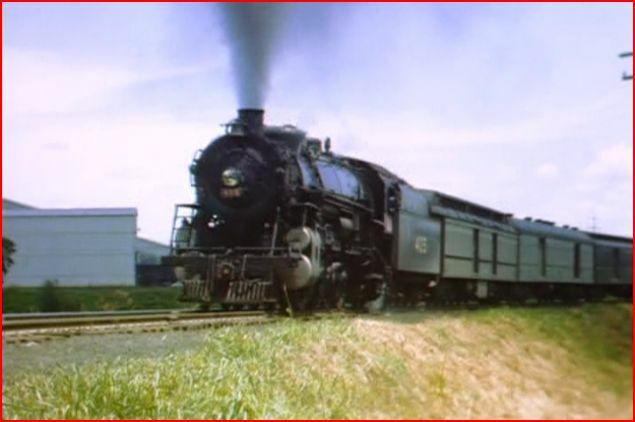 This entry was posted in ATVR Reviews, Green Frog Prod., Steam Train Reviews and tagged American Train Video Reviews, Chicago railroad, Railroad, steam train, Train DVD, trolley by William J. Hudson. Bookmark the permalink.